As I kid, I never hung out on street corners. Of course, where I came from in farm country, street corners were rarer than brown cows that gave chocolate milk and geese that laid golden eggs. But still, I always thought that street corners were dangerous places. You could be pleasantly walking along one side, turn a sharp bend, and who knows what or whom you’d run into. If minnows could think such thoughts, they might come to the same conclusion. The bully or beast minnows confront, coming round a turn, is a hungry crappie. 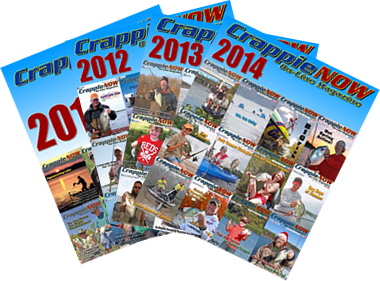 And since crappie apparently think this way, corners — of any degree or measure — are great places for them to lurk. Corners can be defined in many ways starting with either hard or soft corners. Hard corners include things like bridge abutments, rip rap faces, dock corners, submerged hard structure and other similar structures. Soft corners could be any piece of land that starts straight then turns a sharp left or right. There are two aspects that seem to be regular features with the majority of corners. They are: first, a change in current speed or current direction and second, a change from light to shade or vice versa. Anglers working corners should know they will be dealing with one or the other of these features, and often both. 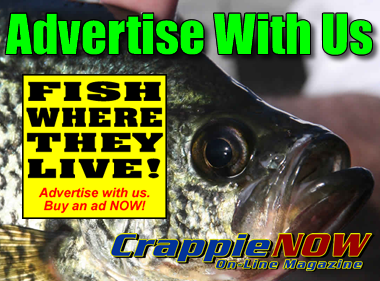 In fact it’s the features of current change and/or light and shade that make corners so attractive to crappie and crappie anglers. “Whenever I see a corner caused by some man-made structure, I know I’m going to fish it hard,” says Pennsylvania guide Joe Turner. Turner does both his pleasure fishing and guiding on a collection of natural and enhanced lakes in the Pocono Mountains in the northeast corner of the state. Hard, sharp corners include things like bridge abutments and culvert passes like the one seen in the background of this fortunate angler. I fished with Turner on a pleasant May day when the crappie were in the process of sliding towards shore for some spawning duties. The first place we hit was a wide culvert under a bridgeless section of road. The road builders had extended the cement framework of the piping between the back of a narrow bay and the continuation of the bay on the other side of the road so that a sharp 90 degree corner came out some 15 feet on this larger side of the piping. In the shallows behind the road, Turner explained that a thin, high-sloped rivulet, ran down to the water which provided some current between the two bay sections. With help from the climbing sun, a firm shadow was created on our side of the cement extension. Coastal rivers from North Carolina to Florida offer some amazing low lying areas where backwater shorelines create tidal humps, low but steep tidal banks and more corners than a jigsaw puzzle. He handed me a six-foot spinning rod with a chartreuse Road Runner attached to four-pound fluorocarbon line. I gave the rod and lure a toss well behind the boat so I could get a feel for the equipment then I stepped to the bow, stood on the foredeck, bent low and skipped the bladed bait into the wide framework. “Keep your rod tip low; it’s deep back there. At least three feet,” Turner said as I made the cast. Pushing the bail over manually to prevent line twist, I slow-rolled the bait out of the drainage and toward the shade. It transected the culvert corner then immediately slid into the shade. I felt it tick something along the bottom, so I lifted the rod ever so slightly. Just then the tip flexed and the rod quaked with a hooked fish. 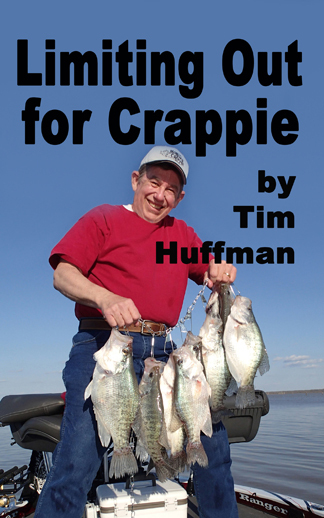 I gave it a hard yank to lift the crappie from whatever entanglements might be along the bottom and in a few seconds it was splashing the surface, then thrashing in Turner’s long-handle net. 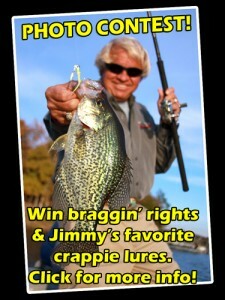 He flipped the 14-inch white crappie into the boat’s livewell, saying we’d decide later whether to hold or release. 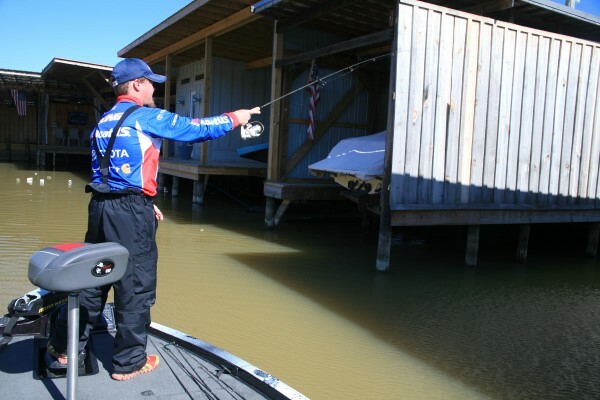 Dock corners and areas of light and shade are key hiding and feeding crooks for spring crappie. I casted again, crossing the corner with the jig then pulling it along the edge of the shade, a corner in itself, and was rewarded with a second and on another cast a third full-size white crappie. Subsequent casts that did not bring the lure around the cement corner and into the shaded edge went unanswered. Three crappie were what we got from that spot. “Keep them or put em back?” Turner asked me. “Put ‘em back,” I said. He had to ask me that question after we successfully fished two other culvert corners in different bays and also along a sharply turned bridge pilling. Since this was spawning season, I had the same answer each time. Corners, particularly really sharp 90 degree corners, are where you find them and South Carolina tournament angler Mike Parrott found a doozie while fishing Florida’s St. John’s River. Parrott came across a classic cement bridge corner with the added attraction of wide swath of deep shade. Around the Francis Whitehair Memorial Bridge, there were all sorts of corners, all sorts of current changes and all sorts of light and dark. 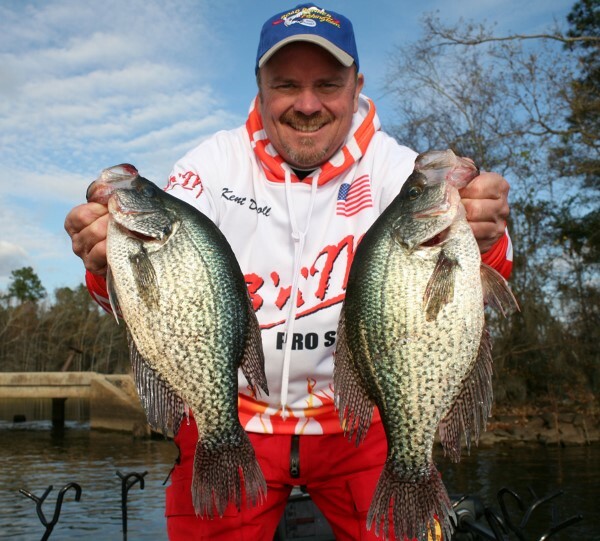 By dropping a jig directly into the darkness, Parrott produced knocks from spring crappie. Direct vertical drops are often the tactic anglers must use to fish sharp corners. As of yet no lure manufacture has created a bait that puts on its turn signal and on its own, makes a 90 degree turn. 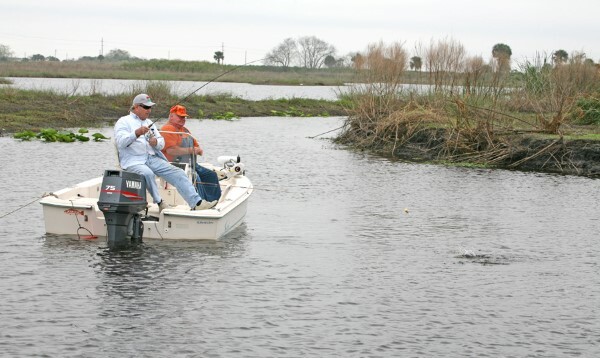 Anglers are either compelled to horizontally transect corners as best they can, or in the case of Parrott at the bridge, make a direct vertical drop, a very effective technique when the jig is hopped through the zone. Of course these are examples of hard structure. What about corners emanating from soft cover, such as a crooked shoreline, in particular, a shallow crooked shoreline. If you are using live bait and a float, you’ve got it made. Coastal rivers from North Carolina to Florida, offer some amazing low lying areas where backwater shorelines create tidal humps, low but steep tidal banks, and more corners than a jigsaw puzzle. Sometimes after a long morning fishing for big crappie with aggressive fly rod tactics, I just sit back and watch the bobber and minnow guys do their thing. One cloudy day, I conducted a boat-to-boat interview with a pair that was banging away at fish along a recessed shoreline. Their answers were actually the original inspiration for this story. “What do you have back there,” I yelled across to the two anglers as one of them reeled in another crappie. “Some kind of corner pocket,” replied one of the two. To paraphrase the rest of the conservation, they were working shallow water with a sharp turn where the current ran over one edge and dropped into some slightly deeper water on the other side. “It’s like a swinging door,” one of them explained. In point of fact, they had to cast and then pull their float baits around the edge of the turn, lengthwise, and when they completed the turn their floats dipped hard. “If we can’t make the hard turn, we don’t get bit,” one said. I spent some time enjoying their action and taking long distance photographs. I wouldn’t have wanted to disrupt their fun any further. You never know what trouble you might run into on a distant corner.